If you want to advertise on transit, we would be happy to put your ads up in our billboard frames or in our publications (with reasonable compensation, of course). 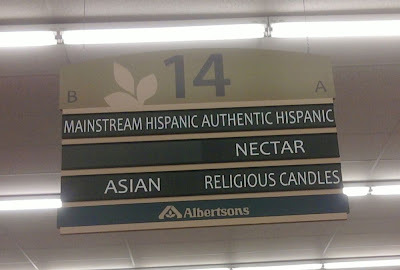 From a supermarket in Santa Fe, New Mexico. What does it say about us that we oppose the concepts of the mainstream and authenticity? I suppose it's possible that they are only opposed for Hispanicism, but I doubt it. Adding secondary units like this is an extremely cost-effective way of providing affordable housing; the main reason it doesn't happen more is zoning regulations. The main zoning issue is parking, but street parking is not generally difficult to find in these areas. Adding units either in existing units' back yards or carved out of the existing homes should be promoted by the cities.